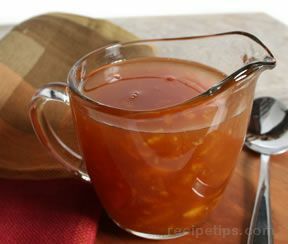 Ham glaze recipes will add the finishing touch to your ham recipe. Glazes for ham add flavor and moistness to the meat. 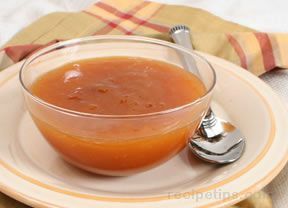 Ham glazes can be made from honey, marmalades, mustards, or fruit. It is as simple as selecting a ham glaze recipe that has ingredients that appeal to you and you are sure to have a ham that will suit your taste. 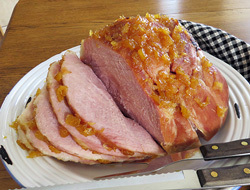 Applying a glaze while you are roasting the ham will produce a moist and flavorful ham for any occasion. 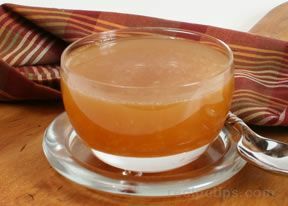 "If you are tired of serving plain baked ham, try one of these delicious ham glazes to give your next ham an extra special flavor. 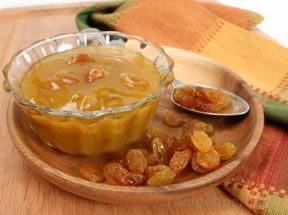 Try the Golden Raisin Ham Glaze for a sweet coating that is a perfect complement to the saltiness of the ham. 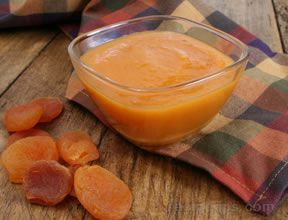 If don't want a raisin glaze, try our fruit-flavored Apricot Orange Glaze. All of the glazes in this collection also make a great sauce to serve along with the ham. 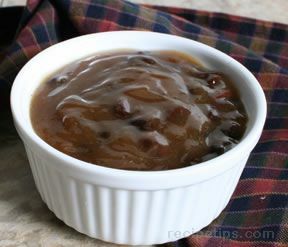 Whether you are preparing a ham for Easter, Christmas, or a special family gathering, any of these ham glaze recipes will help create a ham that is as special as the occasion." "Some of these glazes look pretty good. The ones with the raisins . . . not so much. 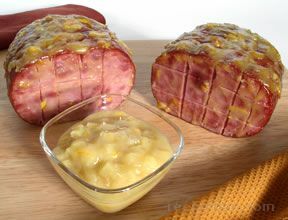 I have never used a glaze on a ham but might have to try one this year at Easter time . . . just not one with raisins in it." "Was looking for a glaze for our Christmas ham. 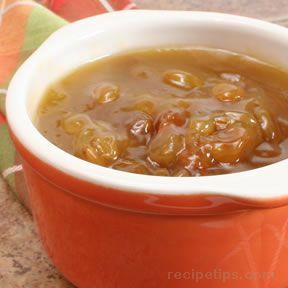 I came across these glaze recipes and realized I have tried the Brandy Marmalade Ham Glaze and we loved it. 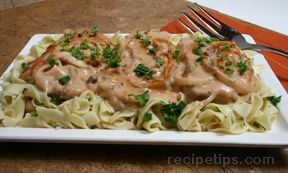 I am going to use this recipe again." "I love a glaze on my ham and I always make extra so I can serve it with the ham. A couple of these look really good. Can't wait to try them." "These ham glaze recipes look delicious. 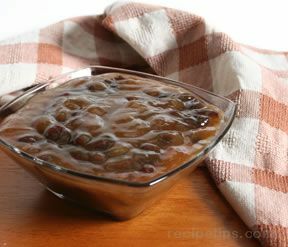 I have wanted to try something different to make our Easter ham special so I think I am going to try the Golden Raisin Ham Glaze. It looks yummy! I will be sure to make extra so I have some to serve with the ham too."